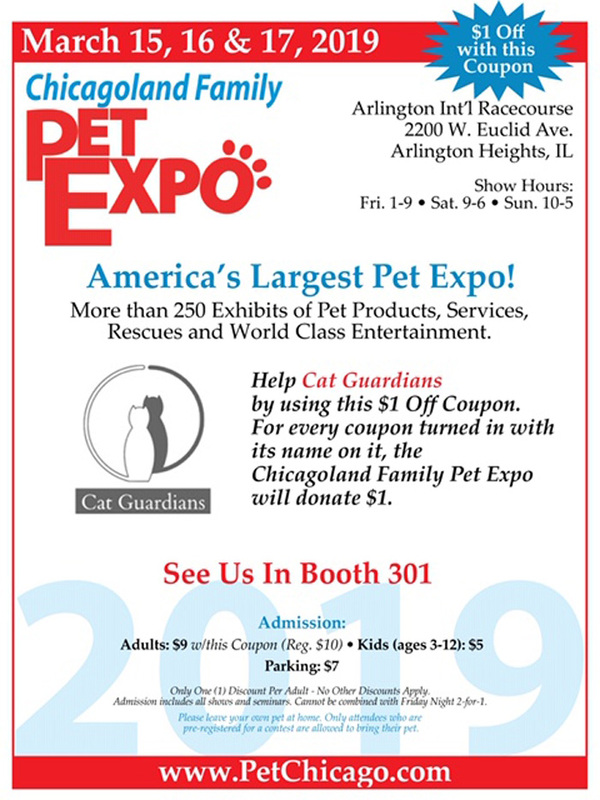 Come visit the Cat Guardians booth at the Chicagoland Family Pet Expo from March 15 – 17 at the Arlington Family Racecourse! We will sell merchandise, and raise funds and awareness of our no-kill shelter. Download this flyer for $1 off, and $1 donated to Cat Guardians!